Hopefully soon. MySpace just fell behind in the ‘useful’ department. From what I understand, they’re the only ones making money. 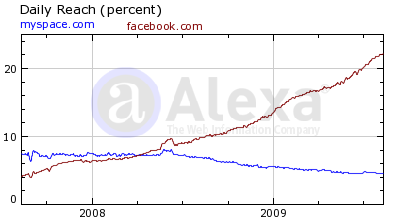 Facebook is breaking even and Twitter isn’t making any. I deleted my account at myspace – all that spam there was to annoying.